Quick Review: In short, I DON’T RECOMMEND Survey Voices, giving it a 0/10 score. Instead, I recommend Swagbucks or Survey Junkie. Ah, Survey Voices. 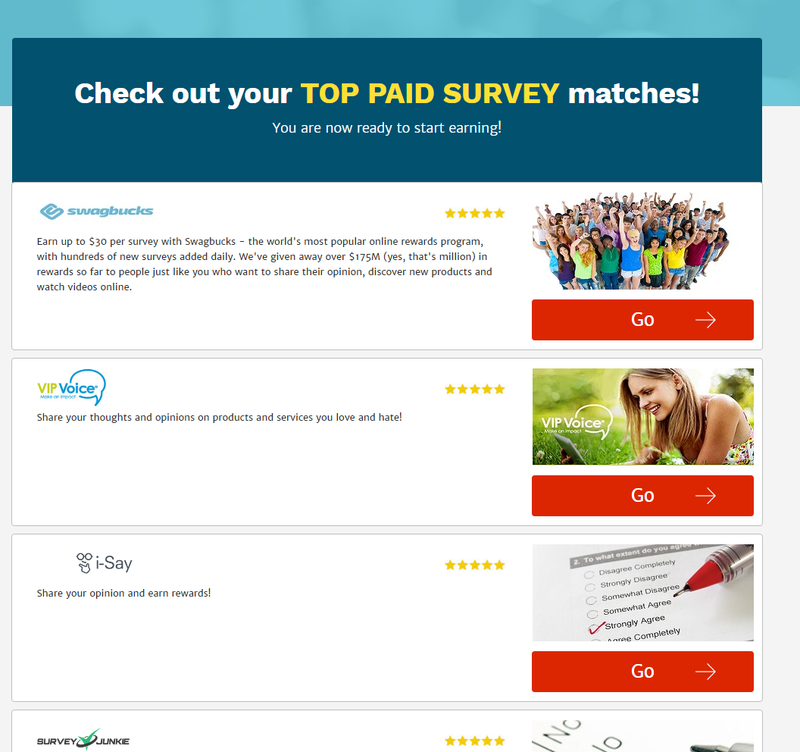 Yet another research company online that allows you to earn rewards while taking surveys, promising to match you with the newest and most exciting paid market research opportunities, acting as an aggregator. But with so many survey companies out there, is Survey Voices worth joining? If you haven’t read one of my reviews before, I actually join these survey companies, try them out and let you know my thoughts, regardless of my relationship with them. And this review is no different. By the way, if you’re interested in my other reviews, be sure to visit my reviews subpage. So with all of that out of the way, let’s take a look at Survey Voices and see what it’s all about! 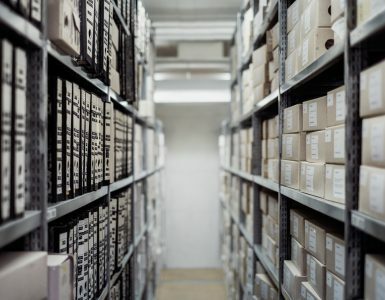 Before we dig into the nitty-gritty and talk about Survey Voices itself, let me first explain what Survey Voices is because they do work a pinch differently than other research companies. Unlike popular research companies, such as Survey Junkie and Swagbucks that offer the surveys directly, Survey Voices acts like an aggregator, connecting you with “thoroughly vetted” survey companies and market researchers, where you’re able to share your opinions and experiences through surveys and get rewarded. 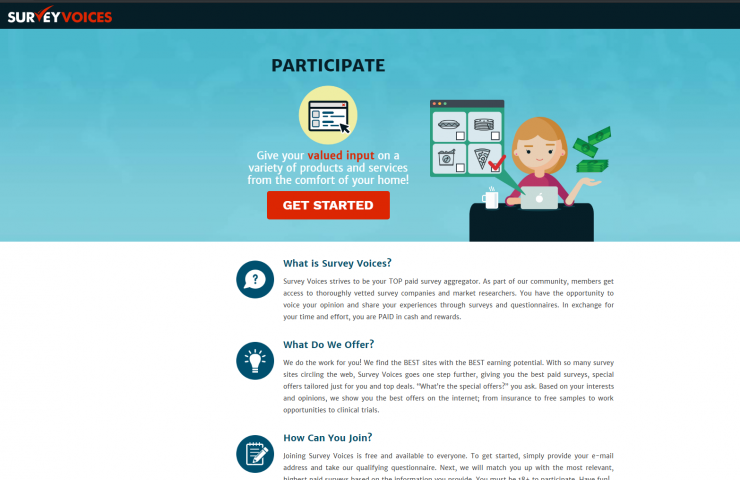 Survey Voices IS 100% free to join, and to join (I don’t recommend), which I will explain next, they will ask for your e-mail address and answers to a qualifying questionnaire. 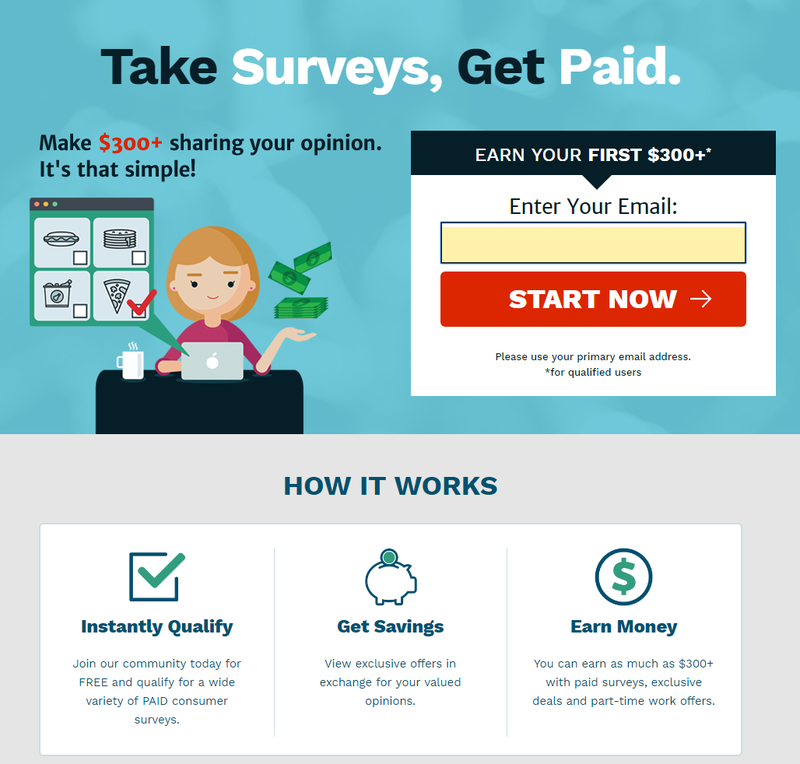 Survey Voices Review: Legit or 100% Scam? 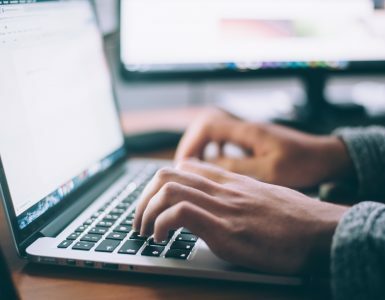 If you’re interested in signing up, Survey Voices will first ask for your e-mail address, much like other research companies, as well as ask you to answer questions on a short-form questionnaire. This includes questions such as your name, address, date of birth, gender, and a few other details. This was no different than any other survey company. But before you do, know that you need to be 18 or older and live in the United States. Now, I don’t know if this is really necessary since you’re going to be connected with other survey companies and will have to do it again, but I proceeded anyway to see where I eventually land. Right away, when I landed on this screener, it screamed: “We are going to text and call you with a bunch of offers.” Not cool. And if you read the fine print closely, it states “I consent to receive phone calls and text messages.” No thans. I didn’t have a good feeling about this, but to save you time, I went ahead and submitted my information to see what happened next. I already invested all of this time, so why not, right? If you clicked “yes,” it would pop up a random website I never heard of, but if you clicked “no,” it would finally take you to the dashboard, where you could FINALLY see all of the “top paid survey” matches. So to get to this dashboard, I had to invest about 10 minutes of my time, agree that they can spam me with call and answer some non-sense questions that have nothing to do with the survey companies they promote. Finally, after arriving on the dashboard, I was pretty disappointed, but honestly, I didn’t expect much more. 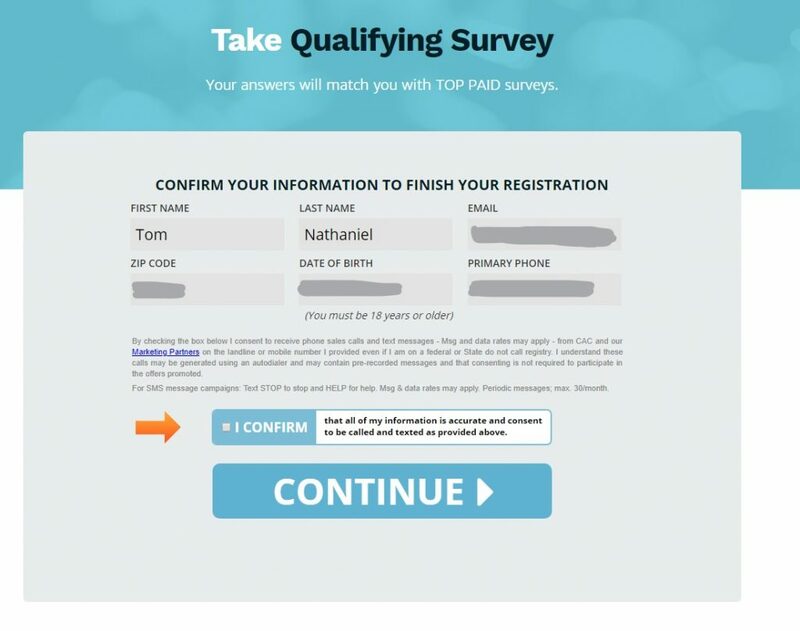 On the page, it listed about five survey companies, all of which were legit, but I already promote them here and you don’t need to answer sleazy questionnaire questions to access it, nor do you have to sell your information. 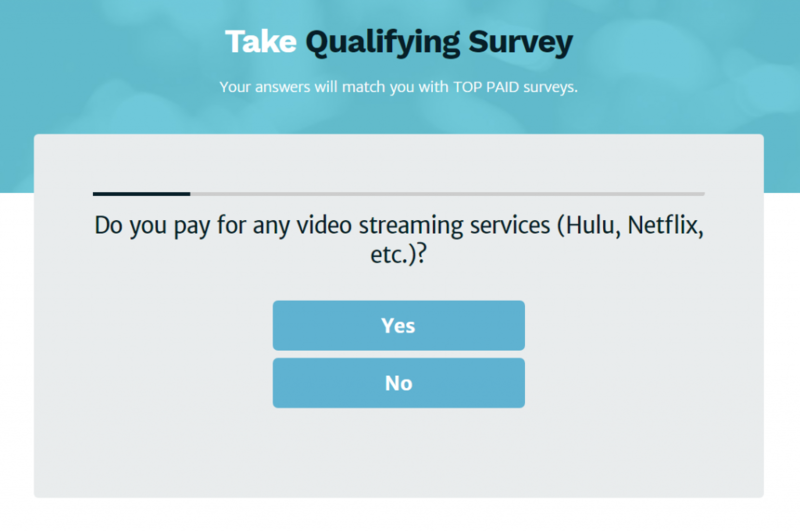 This probably changes on occasions, but keep in mind that you probably almost always find the survey companies they are promoting on websites such as this one and Google itself. There’s NO reason to join and hand out all of your information. Yes, as you can see, it’s a simple list with five-star ratings, of course! There, I just saved you at least 10 minutes AND you don’t have to sell your information! Now, while they claim to be an aggregator, it’s a pretty poor one at that as they only promote a select few research companies and only those that make them money whenever someone signs up. Known as affiliate marketing, all of those companies will pay them about $2 to $3+ per signup. That’s fine as I know webmasters need to eat too, but to really take advantage and sell our information and give us this poor dashboard is not cool at all. And not only that, I had to invest 10-15 minutes of my time before I could even access the stupid dashboard! As always with my reviews, I look to outside reviews as well to see what people liked and didn’t like about the company. It’s not all about me after all. And while most of these reviews were bad, at least from the people who signed up, I tried to find something nice about them to look at both sides. 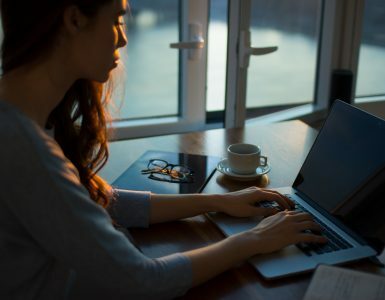 If you do see a positive review from a blogger, do keep in mind that this company DOES pay commission to those who sign up, so the review may be biased to pad the blogger’s pocket. “A” BBB rating (owned by Reward Zone LLC) *I don’t believe in the BBB ratings, but it was a great place to look at reviews. Listen, if you want to know of some of the best survey companies online, do refer to my 83+ survey companies online and take a look. There’s no reason to give Survey Voices your personal information and answer non-sense to view a tiny list. I’m all about honesty and like to help people make a few extra bucks and am just sick of all of the scammy-like websites online looking at the almighty dollar first and not the viewer. 0/10With all of that being said, for the first time in my reviews, I’m giving Survey Voices a BIG FAT 0. I do NOT recommend them. You DO NOT need to sign up for this company, give away your information in exchange for a short list of survey companies. As I mentioned, you can find all of these survey companies and MANY more with legitimate reviews on my extensive survey list as well as other reputable websites online. And while they are not a scam, it’s just not worth giving out all of your information when this website and Google can do a much better job. I can’t stress it enough. If you think I’m wrong or just want to vent about the company itself, I’d love to hear from you in the comments below! In the meantime, keep browsing the website for LEGIT ways to make money and make smart money decisions.